Zona Tools sells every type of small tools and hardware tools that you would need for a project. Wood workers and hobbyists can both enjoy the versatility of the tools and long lasting materials. Some of the common saws that are great for woodworkers are that zona razor saws. The small yet sharp blade are 100% made in the U.S. They come in a compact size with a comfortable wooden grip – making cutting easier. They are also at a price that anyone can afford, and make straight cuts with smooth edges. For a saw that offers this much, why would you buy any other saw? 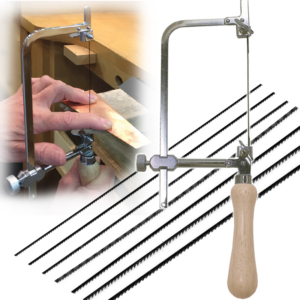 A great tool for hobbyists are the jeweler’s blades and saws. 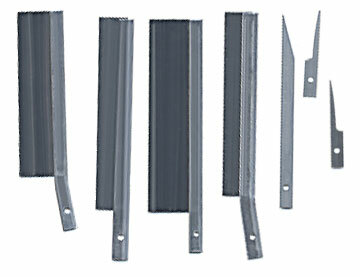 These saws can use the fret, scroll or jewelers blades in any size. This give the hobbyist many options as it can be used to cut many materials, especially plastic and metal. They can be used with a plain end scroll sander or a plain end scroll saw file. The blades on the saws have fine teeth, which are great for cutting small pieces of jewelry and metals. Some of the tools that make great gifts are hand and hobby tools. Some of the hand tools that we sell are hand saws and blades, mini hammers, tweezers and pliers, hobby knives, lubricant, spoke shave and needle files and more. If you are interested in finding out more about hobby and woodworking tools, then Contact us today. We can help you find the perfect tool to add to your collection at a reasonable price. From small to larger tools, you can find the right tool perfect for your hobby. Whether you are a jeweler, assembling a hobby kit or cutting wood or metals – we can find the appropriate tool for your type of work.